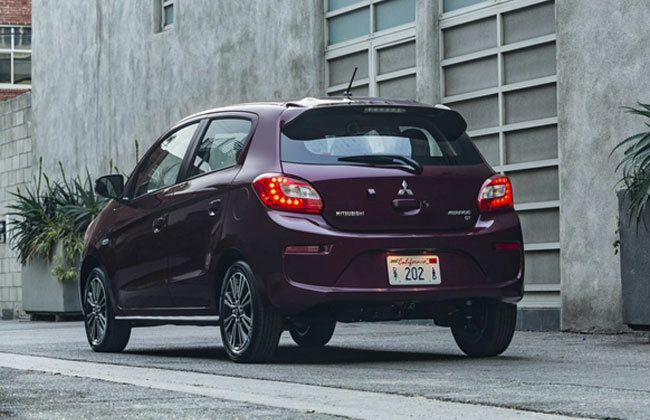 Brand new Mitsubishi Mirage is out in the open and looks new from every angle. It's nothing like its previous model that played a long successful innings in the world auto market and in the Philippines market to specific. 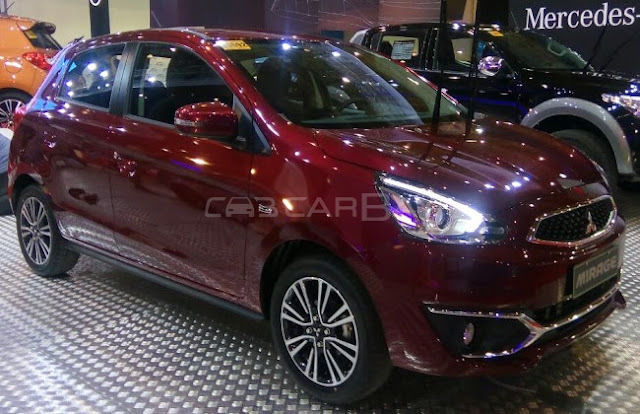 The all-new Mirage from its exterior to interior, engine to economy has gone better, hinting towards an even better sales session than its elder sibling. Looks like, Mitsubishi has created a new money churning machine for itself. 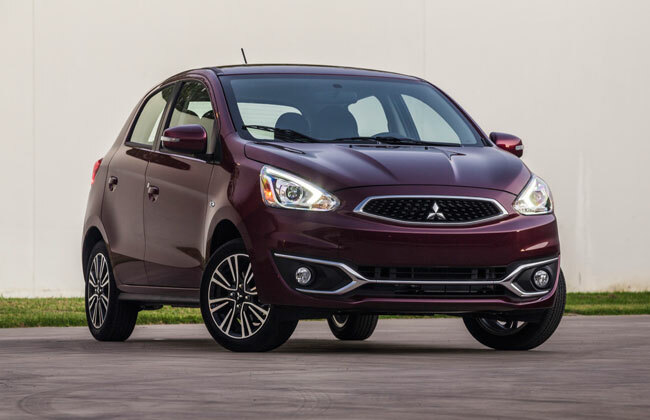 If our memory serves us right, the first news about 2016 Mirage floated way back in November 2015, when Mitsubishi Motors North America released a detailed PR on the same. Next, it graced many auto shows like 2015 Los Angeles Motor Show, 2016 Thailand International Auto Expo and last one is the 2016 Manila International Auto Show, where it immediately became crowd's favorite. New Mirage is now accompanied with a new design language. It looks way better than its predecessor (no offence, but it's true) and is deemed to turn many faces on its way. To its updated style statement contributes items like - a redesigned grille, bolder hood, new headlamps and foglamps, revised rear and front spoiler and lastly an edited rear spoiler and wheels. In addition, it gets an improved aerodynamic design, maximising its fuel economy by manifold. Like its exterior, Mirage interior too is revised to a great extent. Making both the cabin look more inviting and comforting. Its updated design includes new seat fabric, multi-functional steering wheel, gauge cluster and shift panel. On the entertainment front, 2016 Mirage keeps up with the trend and now embodies a 300-watt Rockford-Fosgate audio system with EcoPunch tech. As for connectivity Mirage includes features like Apple CarPlay and Android Auto. The 2016 Mitsubishi Mirage houses a 1.2L 3-cylinder DOHC mill under its new hood. The said mill is known to generate a maximum power output of 78 PS at 6000 rpm along with a peak torque rating of 100 Nm at 4000 rpm. Delivering power to its front wheels is present either a 5-speed manual or Continuously Variable Transmission system. 203 mm rear brake drums and effective brake pad material. All this leading to better stability, handling and braking force. Mirage is one car that has always been known for its impressive fuel economy. And the all-new Mirage is build to deliver the same impressive mileage that has gained the model all the fortunes it has received till date. All these thanks to Mitsubishi Innovative Valve-timing Electronic Control (MIVEC) variable valve-timing system. Apart from working great on the economy front, the said system also contributed towards low CO2 emission. 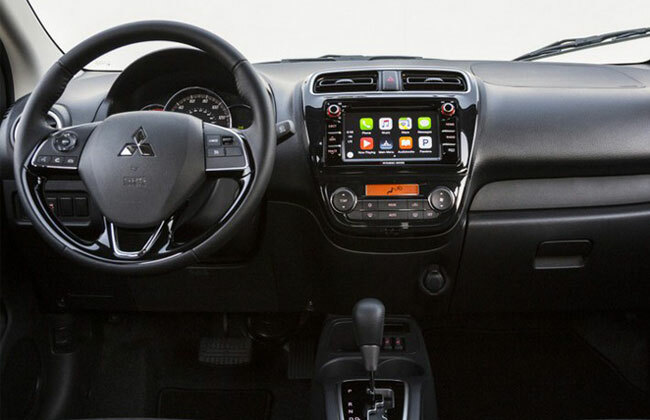 2016 Mitsubishi Mirage is equipped with wide array of safety features that were earlier not found in the car. New Mirage safety kit now includes updated features like 7 airbags, Hill Start Assist, Active Stability Control, Anti-lock Brakes with Electronic Brake-force Assist, Tire Pressure Monitoring System and Active Stability Control with Traction Control Logic.